CAWN also disseminates calls for solidarity from the region and raise awarness among the public of the difficult situation women face in Central America in the mainstream and alternative media as well as through research and publications. 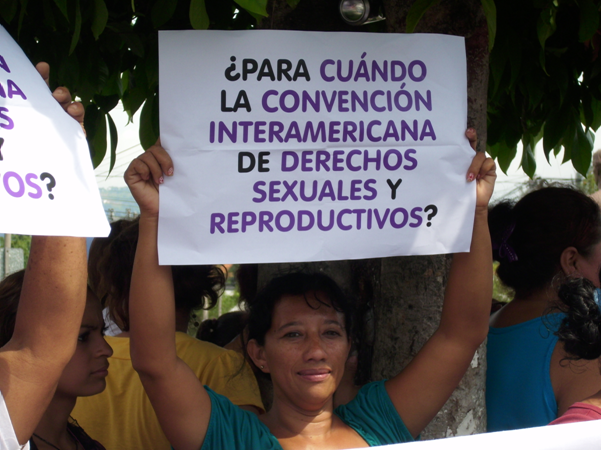 On 28 September 2012, Central America Women’s Network published ‘Maternal Health, Reproductive Rights and the Criminalisation of Abortion in Central America’ to coincide with the day of action and demonstrate solidarity with the 28 September campaign in Central America. This year, CAWN is pleased to be part of the Festival of Choice, especially to raise awareness of the 17’s campaign. Sign the petition ‘We are all the 17′ from RH Reality Check, the International Campaign for Women’s Right to Safe Abortion, the Salvadoran Citizen Group for the Decriminalization of Abortion and 6,847 other signers to tell the government of El Salvador to grant pardons for 17 Salvadoran women imprisoned for pregnancy complications. Fundraise for CAWN, for example by purchasing tickets to the Bromley Boy Singers at the Brandenburg Choral Festival inspired by the anniversary of the Great War, on Saturday, 25 October. Half the money of the tickets purchased through CAWN will be donated to CAWN by Brandenburg.